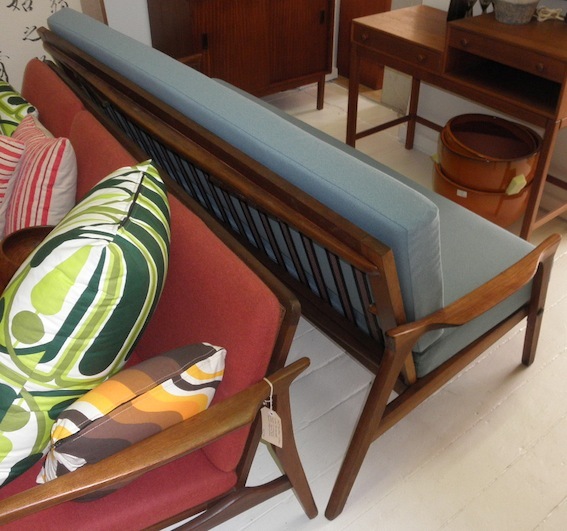 A great mid century Danish Deluxe couch that folds out into handy spare bed. 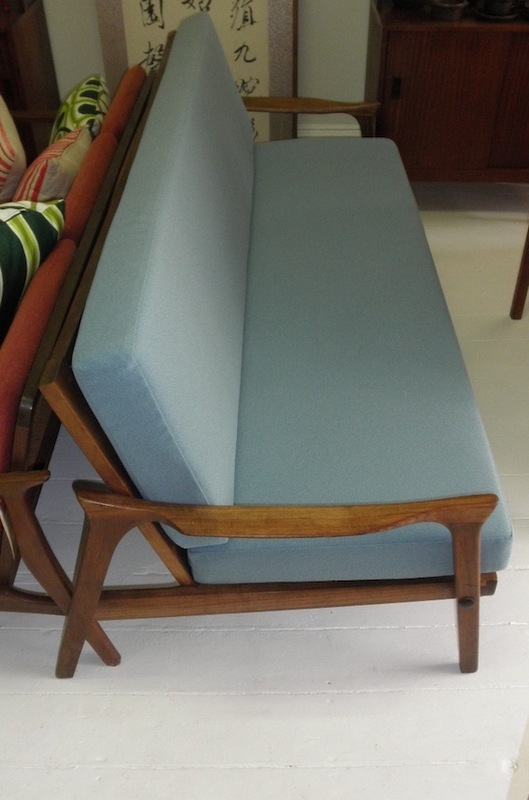 Blackwood frame and new baby blue upholstery on new foam and strapping. These are always popular and are getting much harder to find. Don’t miss out on this one.